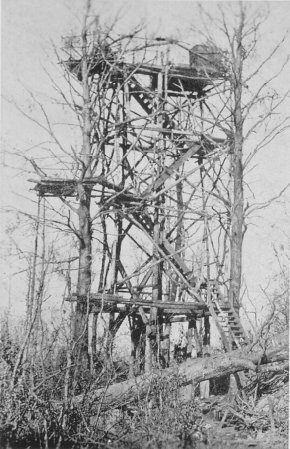 German observatory post captured by 79th Division. It is 70 feet high and is built in a triangle among three trees. Bois de Consenvoye. 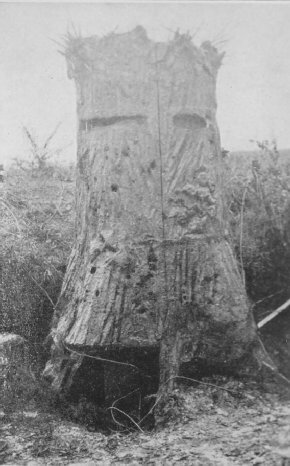 A stump made of sheet iron and steel, camouflaged to resemble a tree stump, used by the Germans as an observation post. Near Regnieville, October 16, 1918. 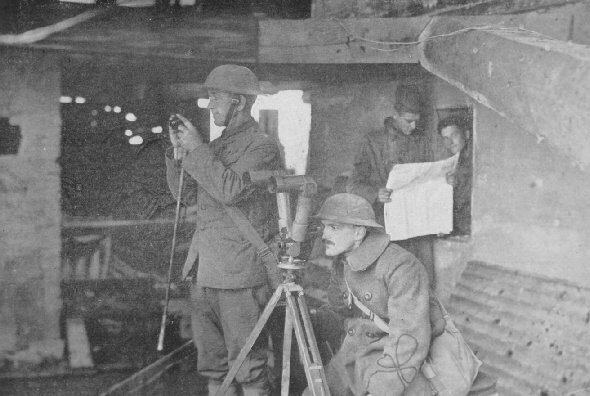 The upper story of the Crown Prince's observatory, with Colonel H. B. Nelson, 3rd Division Headquarters, and 1st Lieutenant K. Bouve, 38th Infantry, 3rd Division, taking observations with captured German binoculars. This scene was made while the Germans were shelling Montfaucon.